Did you know that the Middleburg American Viticultural Area is home to 30 wineries? Grapes grown in our region benefit from perennial soft breezes coming from the 1,027-foot Ashby Gap in the Blue Ridge Mountains, which also happen to provide a spectacular backdrop to many of our local vineyards. Our favorite Middleburg vineyards are 50 West Vineyards, which produces Bordeaux-style white and red wines and offers stunning views of the Bull Run Mountains; Boxwood Winery with its blended Bordeaux-style wines; and Greenhill Winery & Vineyards, which features award-winning wines in an idyllic setting. 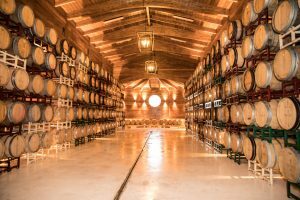 If you haven’t visited Greenhill’s new tasting room yet, it is a must-see! If you’re looking for a drive through the countryside, we also recommend a stop at Three Fox Vineyards in Delaplane, which boasts gorgeous mountain views and award-winning wines. If you’re in town, be sure to swing into Middleburg’s art galleries and the National Sporting Library & Museum, the largest facility of its kind in the United States. With more than 24,000 books dating from the 16th to 21st centuries, NSLM is dedicated to preserving and sharing the literature, art and culture of equestrian, angling, and field sports. The museum, a newly renovated and expanded historic building, houses exhibits of American and European fine animal and sporting art. Current exhibits include: “The Horse in Ancient Greek Art” (through Jan. 14) and “The Horse and the Camera: From the Judith and Jo Tartt Jr. Photography Collection” (through March 18). Remember: museum admission is free on Wednesdays and the museum also hosts some great free public events, including Gallery Talks (held every Wednesday at 2 p.m.) and Sunday Sketch, a sketching session led by a local artist or art teacher held the first Sunday of each month from 2-4 p.m. 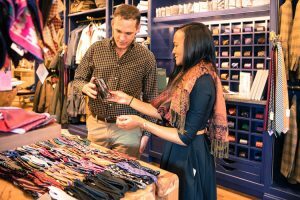 If you need some retail therapy, you’ll love Middleburg. We have a wide assortment of shops, including many boutique stores that can’t be found anywhere else. For antiques and art, our favorites are The Shaggy Ram and Foxfire Antiquities & Objets D’Art. If you’re looking for clothes, we always find something new to love at Country Classics, Duchessa (women’s fashions), Highcliffe Clothiers, J. McLaughlin, Lou Lou, Richard Allen Clothing (men’s fashions) and Tully Rector. For gifts or a little something special, try Les Jardins de Bagatelle for French products; Middleburg’s Finest Chocolates for gourmet chocolates; Popcorn Monkey for gourmet popcorn; Salamander Resort & Spa for unique equestrian-inspired gifts; Stitch for needlepoint gifts; The Christmas Sleigh for German ornaments and handmade Austrian clothing; The Fun Shop for just about everything (including clothes, housewares and gifts); The Tack Box for equestrian gifts; and Kriser’s Natural Pet for supplies for dogs, cats and other critters. 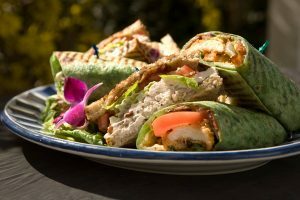 Middleburg is fortunate to have a wide variety of excellent eateries, with everything from fine dining to a corner café. If you’re looking for a quick bite, we recommend organic and locally grown pub-inspired fare at the family-friendly Hunter’s Head Tavern, fast-casual fare for dine-in or take-out at Gentle Harvest, gourmet sandwiches at Market Salamander‘s inviting café, a homecooked meal featuringpasture-raised meats, organic produce and homemade breads at Side Saddle Café, or a cup of coffee and locally inspired sandwich from Middleburg Common Grounds (which even has gluten-free wraps). And don’t forget to pick up some of The Upper Crust’s famous cow puddle cookies! If you’re in the mood for Thai, you’ll find delicious, authentic Thai dishes at family-owned Best Thai Kitchen. Their cooking style is heavily influenced by where they grew up, in the Isan region of Thailand, which is close to Laos. The secret to their food is in the sauces and the hours of preparation that goes into many of their dishes. 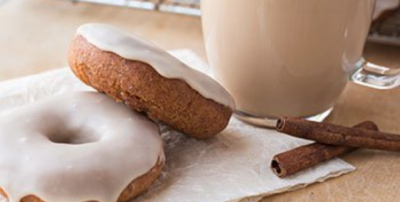 These recipes have been handed down to the owners through their family, and they are proud to prepare them for all of their guests. For Piedmont-inspired cuisine, try Salamander Resort’s Gold Cup Wine Bar or intimate dining at the Red Fox Inn & Tavern. Or, for gourmet fine-dining, try Harrimans Virginia Piedmont Grill at Salamander Resort or Goodstone Inn & Restaurant with its innovative farm-to-table cuisine. 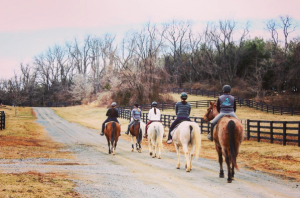 Middleburg is known as the Nation’s Horse and Hunt Capital for good reason, so if you’re planning a trip, there’s no better way to explore the area than on horseback. Whatever your previous equestrian experience, Salamander Resort & Spa has appropriate horses for all levels and abilities, including gentle ponies for children’s rides and lessons. 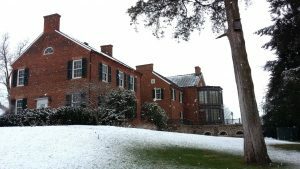 The resort is set on 340 acres of scenic Virginia countryside, including 200 acres placed in a conservation easement, so it’s a delightful way to explore the area. You can find out more about Salamander’s equestrian programs here. Salamander Resort & Spa offers cooking classes every Saturday from 2-4 p.m. at the Harrimans Cooking Studio. Upcoming classes include a sushi rolling class taught by Gold Cup’s Sushi Chef Seuong Seo, a specialty donuts and coffee class by Executive Pastry Chef Jason Reaves, a “Build Your Own Bordeaux” Class by Wine Director Michael Foote, and an ice carving class by Ice Lab of Baltimore. Classes range from $79-$210 per person. Please call 540-326-4070 or check Salamander’s event calendar for more information on these and other upcoming events.